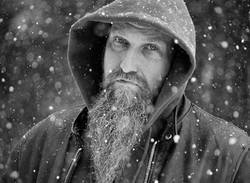 Steve Von Till generously took time to speak to Scene Point Blank about the newest Harvestman release, Music for Megaliths. 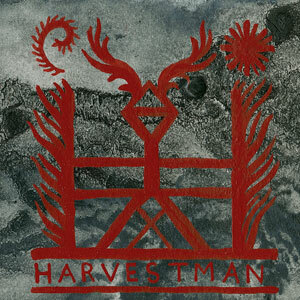 The unintentional dawn of Harvestman was roughly the late 90s, according to Steve Von Till. Von Till, the person behind Harvestman, began capturing moments, full of drones and sounds, and eventually assembled those vibrations and that became the work of Harvestman. These moments and assemblies, psychedelic meditations on celtic, folk and psychedelic music, were not appropriate for any of Von Till’s other outlets. Harvesting those studio experiments gave way to the name. Von Till describes the process as a zoning out on themes that blends his love for folk music, megaliths, and megalithic cultures against the backdrop of the development of music from its primitive roots to current day space, cosmic, and trance oriented electronic forms. Von Till’s ability to engineer the record is a vital component to the process as he considers mixing as an opportunity to continue working on a song. “Nothing is sacred and it’s all open to reinterpretation up until the final mix,” he says. “Usually I’ll kind of gravitate towards a group of pieces that I feel belong together and that I feel like are getting close and that’s what I’ll focus on,” says Von Till. Von Till’s process for Harvestman is not necessarily linear in the sense that the material is only new material since 2010’s Trinity. The meditations are new in that these acts inherently only happen once-during sessions that Von Till also engineers. “It’s definitely not linear. I have a tendency to move forward. If something hasn’t called out in 8-10 years, it may never see the light of day. But some of the things, you never know. Most of it is probably since the last record, especially the re-visiting, especially the overdubbing, the really kind of shaping and forming it into now. That’s definitely current. There could be a basic drone bit or piece of taped ambience or whatever that could be older than the previous record,” Von Till says. The culmination of these sessions are the tracks that form the record, however the process is not intended to restrain his efforts. "With songs and music, I don’t see things in the same time order that everything else is, necessarily." While Von Till does not steep in what he calls a technical music approach for Harvestman, there is a complexity to the pursuit. Working through the sounds, using the drones, constructing and deconstructing sounds and paring down or building assemblies, are happening throughout the journey. Reflecting on the studio work that goes into assembling a Harvestman record can not paint the entire picture of what goes into a Harvestman record. There is a part of it that only Von Till knows. The meditations on the album are his, shared via a record or digital copy or cd, but not tethered to a single concept. One may associate the instrumental sounds and tones with Von Till’s other work which speaks only to the common elements of the creator and his tools. Where Harvestman lacks a pattern to be formed from those associations is where Music for Megaliths, or any Harvestman record, comes into its own. The music leaves behind any thought of its creation, and looks forward to the ensuing exploration where the songs and sounds are the vessels for that exploration. I’m not sure the way we listen to a Harvestman record assimilates with our ideas of other records, right down to the intervals of time that Von Till mentioned. Rather than associate the any singular reading, Von Till creates, and shares, a scape with these records that he wishes others to explore for themselves. “I think things are more powerful when you let the listener define it for themselves. What emotional reaction are people gonna have to it? Personal experience is so much more rewarding than voyeurism." Check out Music For Megaliths here. Words by BJ Rochinich on June 18, 2017, 4:43 p.m.
Main photo by Niela Von Till. Posted by BJ Rochinich on June 18, 2017, 4:43 p.m.